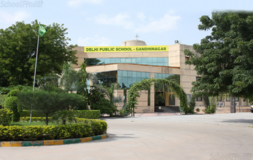 Find below the list of top IGCSE / Cambridge schools in Sabarmati - Ahmedabad with phone number, address, 360° School tours, 2018-19 Admission forms & Fees, photos, facilities & more. 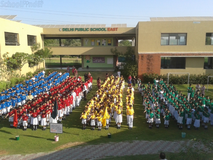 The Tripada International School is a secondary, Co-educational, English Medium School has strength over 1200 students. Being affiliated to both the Cambridge International Examinations (CIE) and Gujarat State Board. The school is managed by Tripada Education Trust. 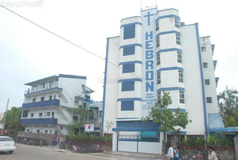 \n\nThe four Storeyed school building incorporates the latest in layout and design. The priority of Tripada International School is academic excellence and value based education in tune with our rich culture and creative demands of students hailing from the diverse social and cultural environments. \n\nThere is a lot to achieve. There are miles to go before we rest. We do not believe in reading against a wall or relaxing but we believe in toiling day and night to make the presence of children in school highly fruitful. The school has an ideal student : teacher ratio of 20:1 and it focuses on developing multifaceted and disciplined individuals. 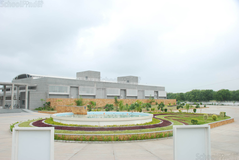 I. D. Patel Education Campus in Ghatlodia is well-equipped and the most systematic educational complex. The institution is for Gujarati & English medium students, having scope, right from nursery to higher secondary and higher education like B.Ed. The institution has achieved a unique confidence of the people coming from various areas of the society. The students coming from prestigious highly educated and cultured families make us more responsible. Kendriya Vidyalaya, New Railway Colony, Sabarmati was established in year 1987. This Vidyalaya is situated on New Railway Colony, Sabarmati. The Vidyalaya in its building having spacious class rooms, laboratories, library and a play-ground their students. Competently maneuvered by the Principal, with an active support group of VMC, PTA and highly committed staff of 42 members, the school is marching towards excellence. The present strength of students is 847 (on 1 April 2012). Kendriya Vidyalaya, ONGC Chandkheda was established in year 1992. This Vidyalaya is situated on ONGC Chandkheda premises.The Vidyalaya in its pucca building having spacious class rooms, laboratories, library and a play-ground. Competently maneuvered by the Principal, with an active support group of VMC, PTA and highly committed staff of 48 members, the school is marching towards excellence. The present strength of students is 1128. State of the art infrastructure is provided in all of our schools. Each school classroom is equipped with projectors and visualizers to make learning interesting. Computer labs with brand new computers, fully equipped library, science labs, first aid room are also present in the schools.\nA ground will be there where students can play a number of sports. An optional Canteen facility is also present in the school. 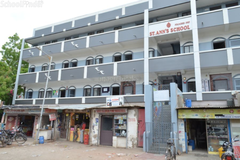 Shayona International School is located in Ghatlodia, Ahmedabad. It was established in 2005. This school follows the CBSE board. The school has English medium. 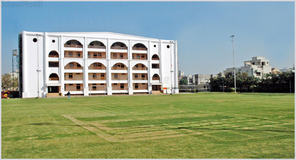 Amrita Vidyalayam, Ahmedabad is a senior secondary school situated close to Revamani Hall near Ghatlodia in Ahmedabad, Gujarat. 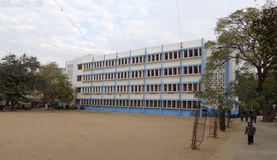 This Amrita Vidyalayam is managed by Mata Amritanadamayi Math and is affiliated to CBSE.\nAs a part of the Amrita family, we aim to instill in our students a strong sense of our cultural and spiritual values, along with imparting the best in modern scientific education.\nOur vidyalayam shall always provide a rich learning environment where students will learn to excel fearlessly in all facets of their personality physical, mental, intellectual and aesthetics. This foundation will enable self-fulfillment of their professional, personal, family and social lives. 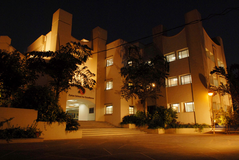 Sakar English School is located in Chandkheda, Ahmedabad. It was established in 2003. This school follows the CBSE,State board. The school has English medium. Choosing the right school for a child is a daunting task. Making the job easier for you is Sqoolz. In order for your child to get admission to the best IGCSE / Cambridge schools in Sabarmati - Ahmedabad you need to study and analyze the list of top IGCSE / Cambridge schools in Sabarmati - Ahmedabad. With our detailed list of IGCSE / Cambridge schools in Sabarmati - Ahmedabad, you can get all the information you need.